Can You Afford to Miss That Call? For some businesses, that first telephone contact is critical to building the initial customer relationship and closing a sale. If the caller doesn’t get a response on the first attempt, they may move on and try someone else. Auto Attendant products like Easy Attendant and Premium Attendant are specifically designed to keep you connected with your customer. Both Easy and Premium Auto Attendant service from DirectLink offer powerful capabilities for meeting the needs of your customers, improving the productivity of your employees, and controlling costs. Engineered to simulate a live operator, Auto Attendants direct incoming callers to the appropriate department or employee. 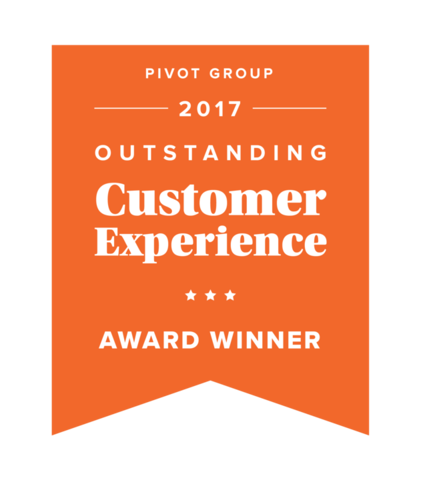 Ensure your customers’ calls will be handled effectively 24 hours a day, 7 days a week. Transfer to specific departments or individual - including a dial by extention option. Transfer directly to a voice mail account and leave a message. Take control of your inbound calls with a host of features, easily managed through a secure online portal or from any touch-tone telephone. Welcome to Bob’s Tires. To hear directions to our store, press 1. To hear our business hours, press 2. If you know the extension of the person you’re trying to reach, press 3, and then enter the extension followed by the pound key. Or, to reach an operator, please press 0. 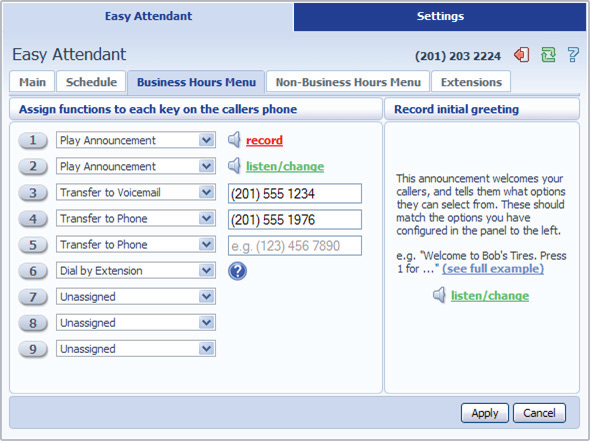 Both Easy or Premium Auto Attendant can be quickly managed using a simple online portal (below) or touch-tone telephone. The program allows you to define separate menus to be played during and outside of business hours, with the appropriate menu selected automatically based on a customizable schedule. Create different phone trees, messages or functions for each menu as well as assign extensions by name and /or number. Record outgoing messages with your microphone equipped computer or a touch-tone telephone. Quickly and easily create a professional, customer-friendly image for your business today. Administrative function is protected with PIN and password so only authorized users are allowed access. Automatic software updates will keep your system and interface running smoothly. Easy and Premium Attendant are compatible with your existing phone technology. Order as a Stand alone product, or bundle it with our VoiceConnect service. One number to call, with local support staff you know and trust.